May's offer is reportedly dependent on the EU dropping its demands for the Northern Ireland Brexit "backstop. Prominent Brexiteers condemned the offer as meaning UK may "never leave at all." 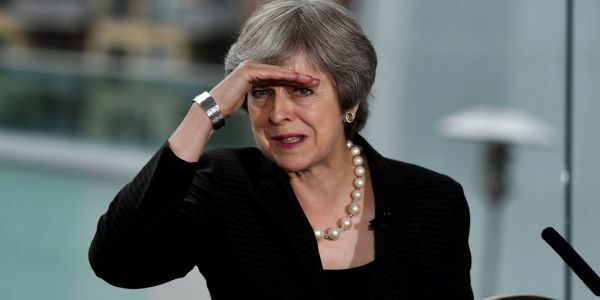 Theresa May faces a furious backlash from Conservative MPs after offering to extend the Brexit process by up to another year. Any extension would cost billions of pounds in EU fees and leave Britain under European rules for almost six years after the referendum result. Conservative MPs call on May to abandon her plans and make way for a new leader. The prime minister tells the BBC the extension would only be a "matter of months" and insists she hopes it won't be needed.